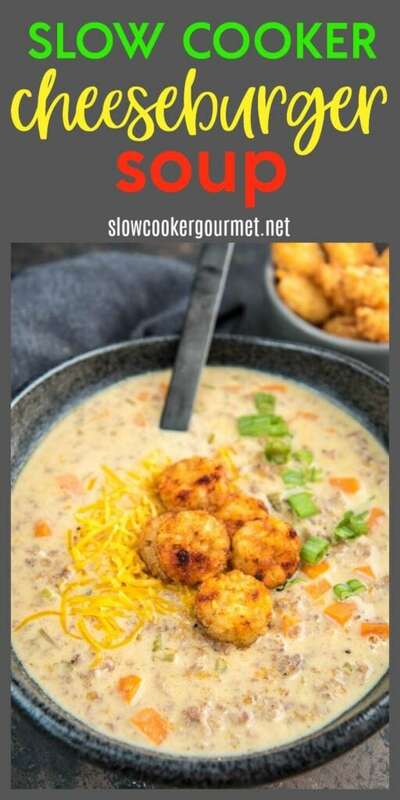 Slow Cooker Beefy Nacho Soup is a simple and quick meal that comes together easily for a weeknight dinner! Less than 5 ingredients and totally homemade! No canned soup here! I like my dinners to be easy, but I will generally lean toward making something that might be a little more work for the sake of making a dinner that is SO GOOD! I realize that sometimes dinner is just about getting some food on the table (or in your belly), and quick, but most of the time I really want it to be worthwhile as well. Life is to short to eat mediocre food, right? So I’ve made it my goal in life (well, one of them) to find simpler ways to get those amazing meals on the table without sacrificing quality and taste. 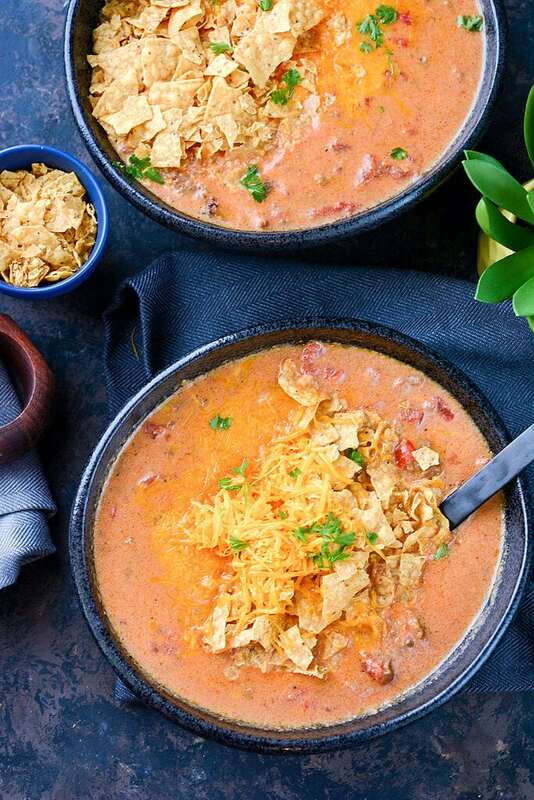 This Slow Cooker Beefy Nacho Soup means goals are getting accomplished. 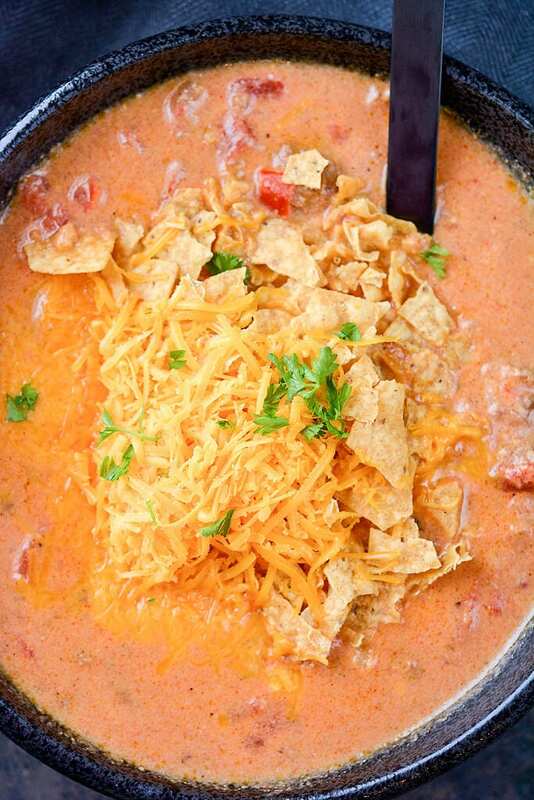 So how do you feel dinners like this Slow Cooker Beefy Nacho Soup? Sounds like something that might have canned soup or something in it right? Making a cheese sauce from scratch would be impossible without a lot of work, no? 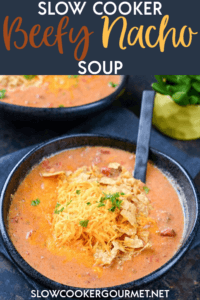 Well, this soup actually only uses 5 ingredients and it’s homemade! The fact that it’s super tasty and totally family friendly? Even better. Let’s chat about the taco seasoning options first. I do love the packets because they have everything in them ready to go, but let’s face it, some really lack good flavor. And some add extra stuff that nobody really wants or needs to eat (msg? yuck!). So I highly recommend you either make your own (here is my recipe) up ahead of time and have it on hand, or do a little research and find a high quality brand you love. Why shred your own cheese? 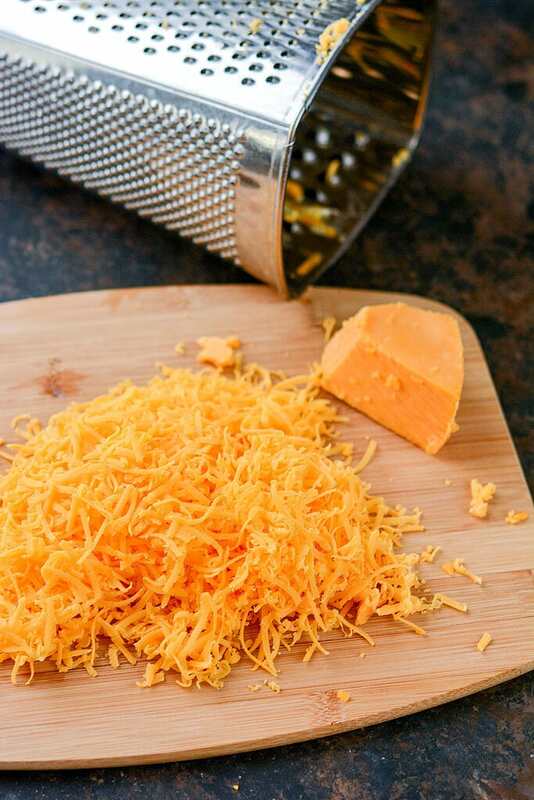 Pre-shredded cheese is generally coated in anti-caking powder. So it’s just not going to melt as well and to me seems to be lacking a bit in flavor. Invest a couple bucks and some elbow grease and shred yours up with a box grater (or coerce your teenager to do it, like I do!). 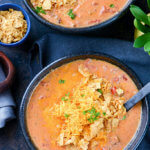 Try these couple of tricks and see if this beefy nacho soup doesn’t become a regular in your dinner time line-up! 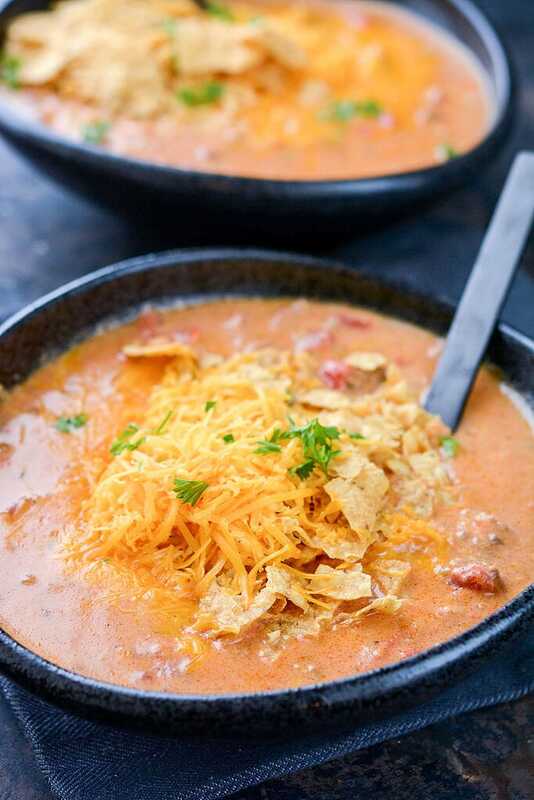 Looking for even more delicious and easy soup recipes? 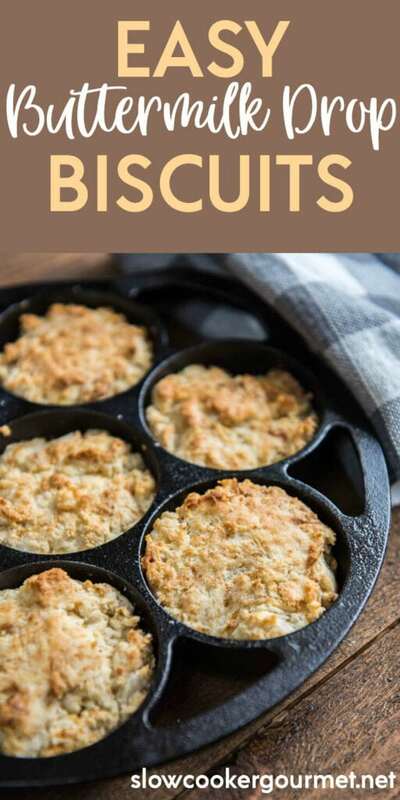 Or how about some warm, fresh homemade biscuits to serve on the side? This recipes was originally published on my other recipe site Garnished Plate. It was updated and moved to Slow Cooker Gourmet to better serve readers with ideal content! Enjoy! This recipe sounds awesome and definitely something my kids would enjoy. However, we don’t eat red meat due to my high cholesterol. Do you think this recipe would work with ground turkey? 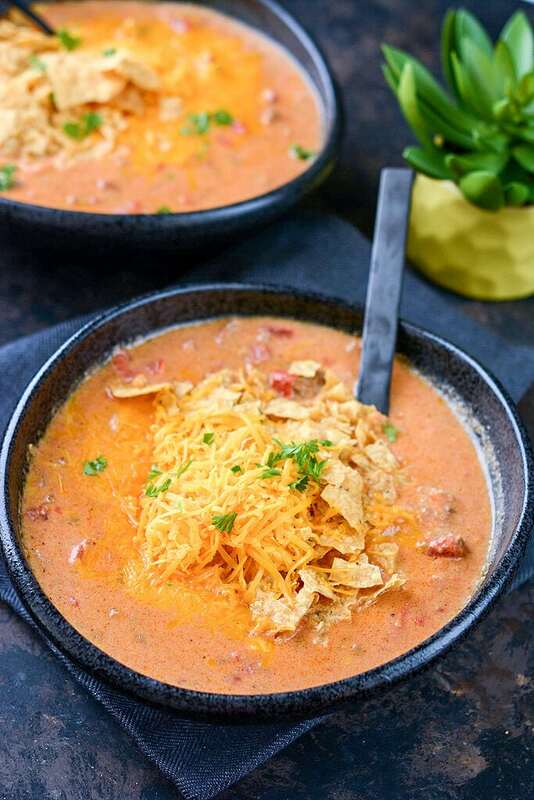 I know there’s cheese in this recipe too – which I love…so I think if I can reduce the cholesterol in one of the two higher cholesterol ingredients, this could work! I must admit that i find it very frustrating when the term 1 can is used in the ingredients. As I don’t live in the United States some items(such as fire roasted tomatoes ) can be hard to find. For you is 1 can a 280z can or 14oz can. have noticed you have used this more than once in your recipes. I really appreciate what you do with your blogs but it is crucial to have the right quantity of all the ingredients. I look forward to trying the above recipe once I have the proper quantity of Fire Roasted tomatoes. Hi Mark. It’s a 14.5oz can of fire-roasted tomatoes, I apologize for the oversight and sorry to be the cause of your frustration. I hope you enjoy the recipe!